Update: I’ve also added a public Google Slide version with this data that you can copy and edit as you please. See the end of the post for other formats. Update 2: Let us know your thoughts on brand-building in the chat. Many younger generations are not building deep relationships with whole categories of products. They experience many brands as undifferentiated. There is a brand-building gap among these generations. They’re spending more time on their phones and in ad-free Netflix than they are with old school brand-building mediums like TV. Meanwhile, brands are focusing much of their digital marketing budgets lower in the funnel on short term sales activation rather than top of funnel, long term brand-building. Let’s look at where the data — and common sense — tell us the greatest opportunities lie for brands wishing to create deeper bonds with these younger consumers. What is the most effective use of your marketing budget for creating business value in this noisy, digital world? 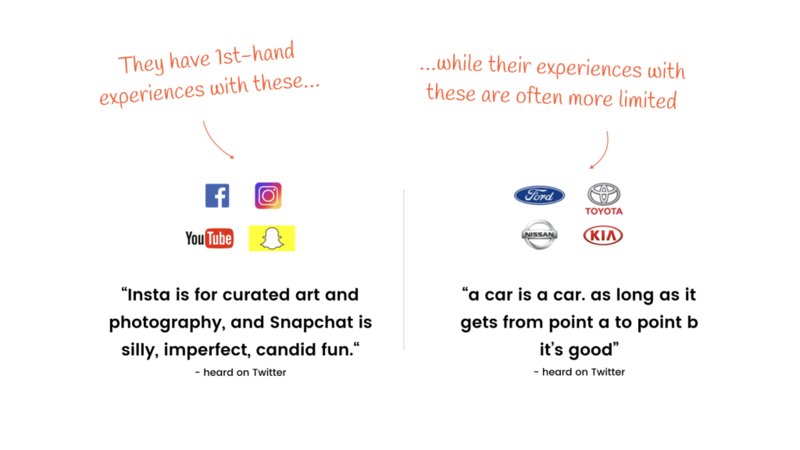 Many Gen Ys & Zs can tell you the fine differences between social apps but not, say, automobile brands. If you have not personally experienced what this “these products are all the same” mindset feels like first-hand, imagine shopping in a foreign country. Many products are seen as undifferentiated by younger people who have not grown up developing relationships with those brands. In the past, generations of 30 second TV ads on limited media channels filled brand relationship gaps & built multibillion dollar brands along the way. But people now spend more time on mobile devices and ad-free Netflix. How are brand relationships built today? The most pervasive advertising format, the banner ad, delivers reach. But it’s a poor story teller. Mobile video can be a powerful format. But video ad view time is shrinking. People’s patience for ads that interrupt their media consumption, however, is growing thinner by the day. Six seconds has become to the new 30 seconds. 6 seconds is limited time to tell your brand story & build trust. Rich media, influencer marketing, content marketing and other marketing methods (that may offer value in exchange for attention) can help build brands. But they often take deft practitioners to cut through the clutter, navigate people’s highly developed marketing ambivalence and scale. Because digital brand-building hasn’t been as simple as running 30 second tv spots like days of old, many have put their digital advertising focus much lower in the funnel, on short-term sales activation, not upper funnel brand-building. The result? For many Gen Ys & Zs, strong brand relationships are simply not being built. These generations see whole categories of seemingly undifferentiated products solely through the lens of price. Which can be your brand’s greatest opportunity. The power of trusted brands has not changed, but how people build trust in them has. How do people build trust in brands today? Context matters. Not only is the content of your marketing message important, the context of how that message reaches people has much more importance now. Where and how your brand engages consumers matters now more than ever. Here are three things to consider when reaching modern consumers and building value in your business. 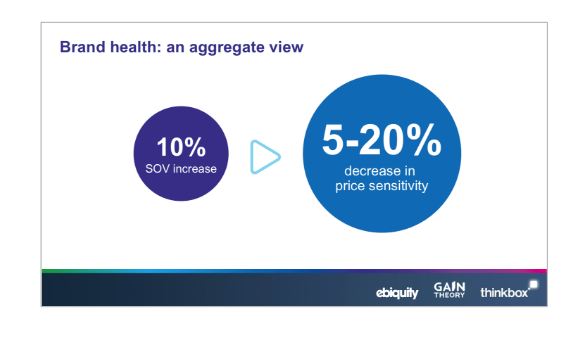 What is your strategy for adding value — shareholder value or otherwise — to your business? Decide whether brand-building is a core part of that strategy. 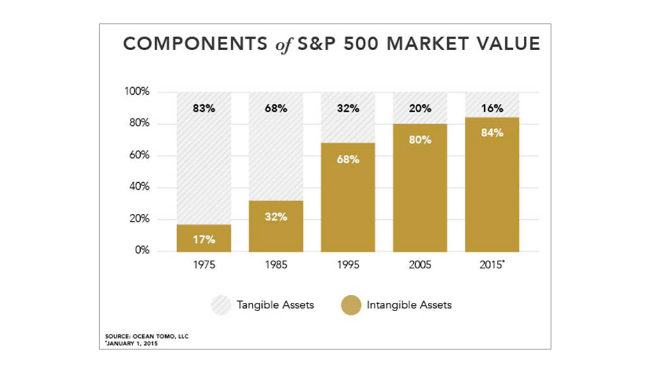 Business value increasingly comes from intangible assets like brand, not tangible assets like factories & fleets of trucks. 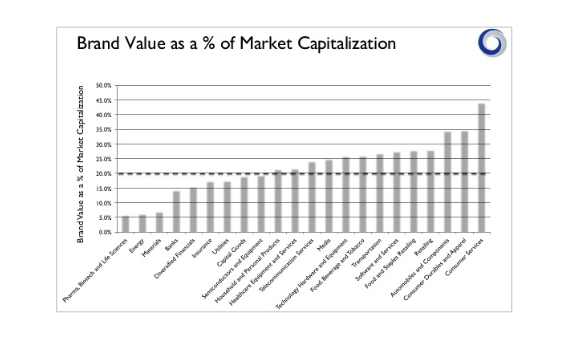 Brand value accounts for about 20% of the total market capitalization of businesses. 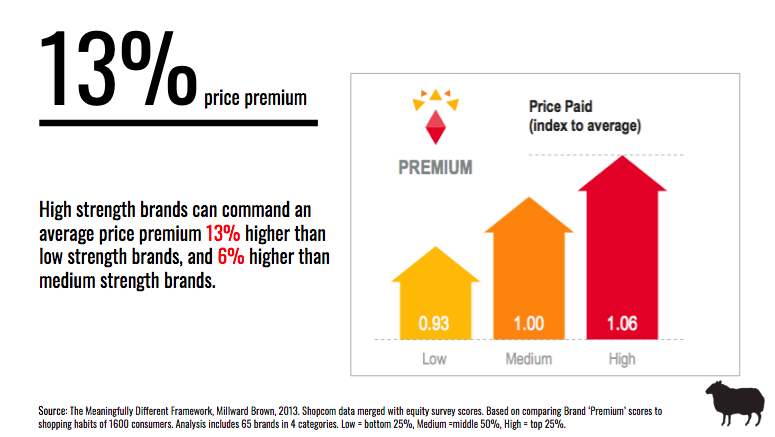 Source: Jonathan Knowles, Type 2 Consulting, analysis of data from the annual brand value league tables published by Brand Finance, Eurobrand, Interbrand and Millward Brown for the 6 years 2010 to 2015. 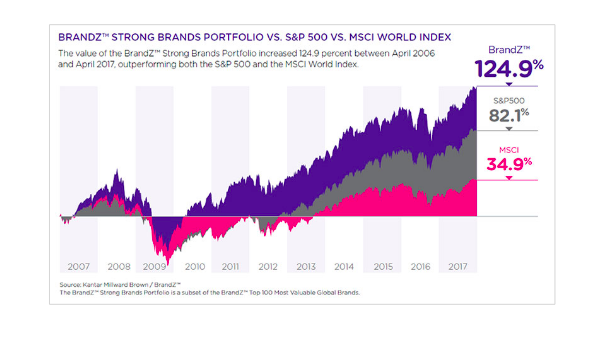 Strong brands far out-perform the average businesses in terms of shareholder returns, with the BrandZ portfolio of strong brands growing by 125% from 2006-2017 vs the S&P 500’s 82%. Source: Kantar Millward Brown, BrandZ, 2017. Source: The Meaningfully Different Framework, Millward Brown, 2013. Define the big picture allocation of the marketing budget for top funnel and lower funnel activities. 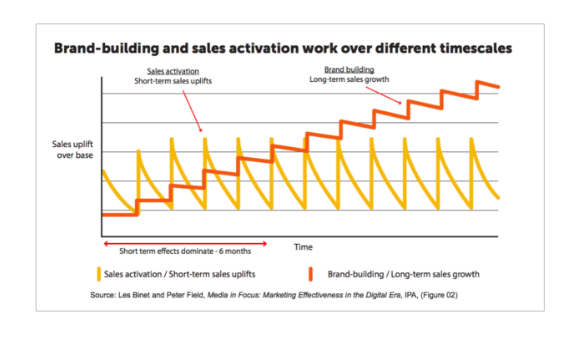 Brand-building activity drives stronger sales growth over periods of 6+ months than the temporary uplifts driven by short-term sales activation. 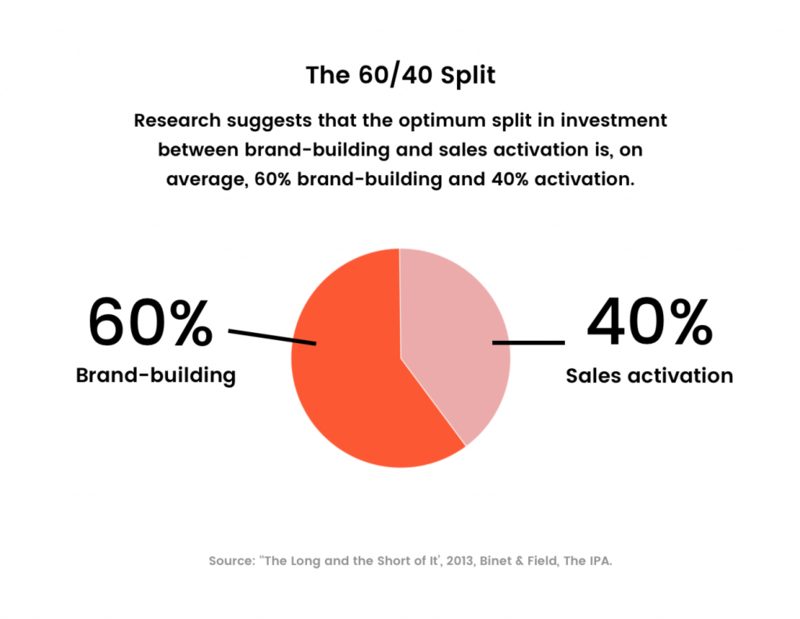 Research suggests that the optimum split in investment between brand-building and sales activation is, on average, 60% brand-building and 40% activation. Source: ‘The Long and the Short of It’, 2013, Binet & Field, The IPA. Define how you will measure whether your brand-building activities are effective. Below are a few examples of campaign-level metrics for brand-building activities. How long people spend with your brand. Is it long enough to tell your brand story? And is that quality time? Are they opting in? Do they want to spend this time with your brand or are they simply “tolerating it”? Time to beat: 6-30 seconds per session. Are people engaging? Are they tapping and interacting? Are they discovering your brand by involving themselves in it? Numbers to beat: 2-5 engagements per session. Is your marketing making an impact or is it lost in the noise? Are the people who engaged with your marketing more likely to recall your brand than those who did not engage? Do they see your brand more positively after engaging with it? 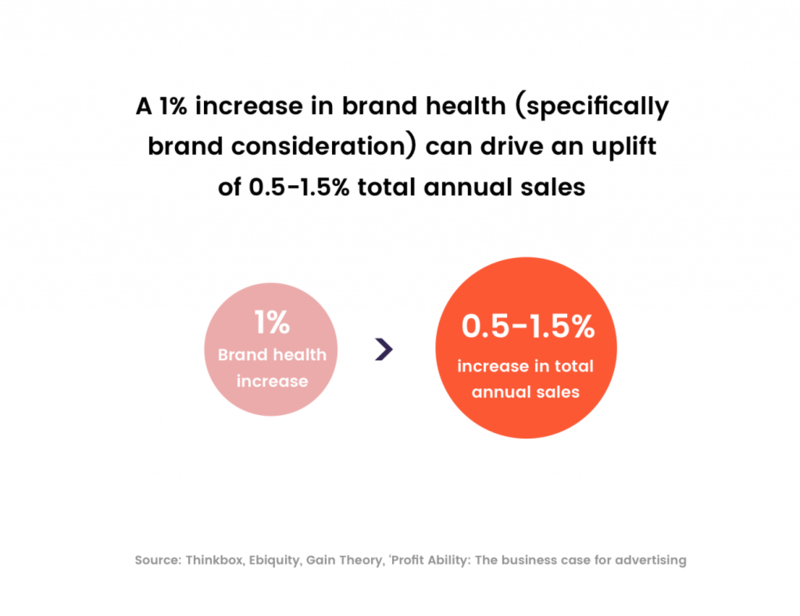 Numbers to beat: 10%+ brand recall lift. 10%+ brand favorability lift. As an example, here is a summary of the brand-building effectiveness for the Dabbl attention marketplace. The data shows that brand-building is an incredibly powerful tool for building business value. 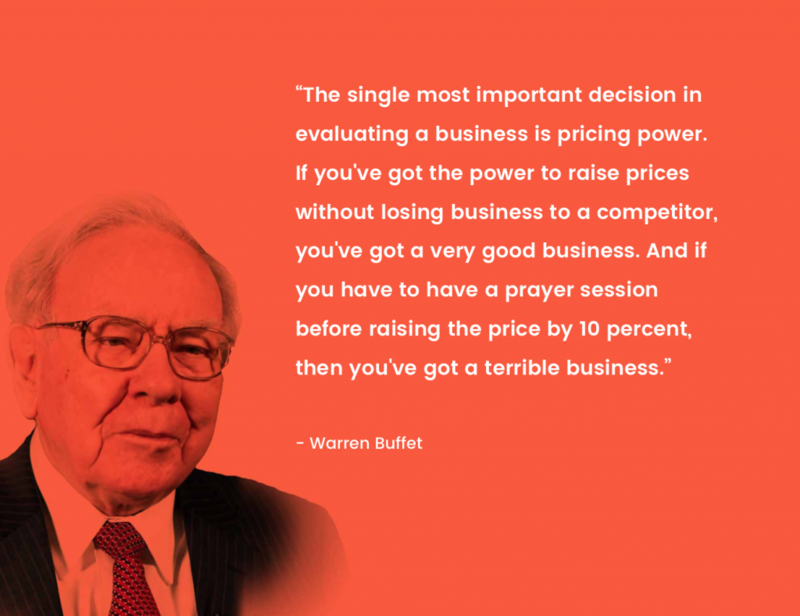 Pricing power that can result from a differentiated brand can be the single most important activity for your business. 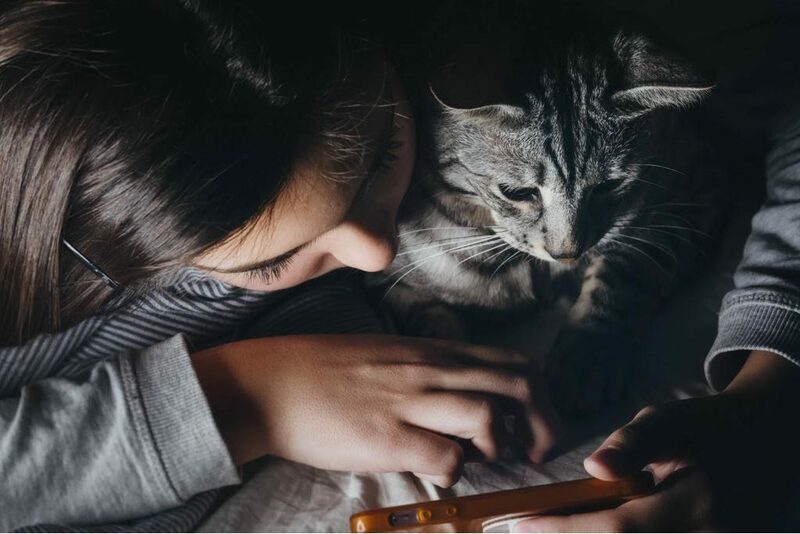 Millennial and Gen Z consumers who spend less time in traditional brand-building marketing channels are open to brand relationships if you can reach them in a context they feel respected in. Brands that get this right can have outsized opportunity for growth in their markets. Feedback: Let us know your thoughts on brand-building in the chat. Interested in communicating brand-building effectiveness to others in your organization or your agency clients? Share Tom’s post or SlideShare or this post or SlideShare. Download the deck PDF. Want to tweak the deck for your own uses? Download the Apple Keynote source file or the Powerpoint source file. Update: Copy the Google Slide version and create your own deck for your clients or other stakeholders.